The world’s 4th most populous country in Asia is a kaleidoscope of 5000 kilometres along the equator. From Bali to Jakarta, Indonesia is a land of many customs, cultures, and history. 40,000 years ago, the first people arrived in Indonesia when the country was connected to Asia by a land bridge. By the end of the Ice Age, (around 10,000 BC) more people arrived; and at the end of the 8th century, the Indonesian civilisation started to flourish. The Hindu kingdom in Java was followed by the Buddhist kingdom in Sumatra before Islam was introduced by the Indian merchants. Within a few centuries later, Islam quickly spread through the rest of the country. With more than 17,000 unspoiled Indonesian islands and over 300 languages spoken throughout the region, this stunning country offers plenty of adventure for all. With so many islands, it can be difficult to decide which ones you should visit as every island has its own charms and character. For instance, the world’s largest Buddhist temple in Borobudur is a national heritage and highly worth a visit. Bali offers many beautiful Hindu temples, waterfalls, rice fields, and amazing forests. There is also the Komodo National Park with its famous Komodo cormorants. For orangutan lovers, Borneo and Sumatra islands are a must-see. The stunning Raja Ampat Islands with unique underwater world are also highly recommended. If you have more time to spend in this beautiful country, don’t miss a boat tour of Raja Ampat and Sumatra. We selected the three islands of Java, Bali, and Komodo, which can be explored in 2-3 weeks. Visit the Monkey Forest where you can get closer to the local monkeys. If you want a great photo with a monkey; don’t forget a banana or buy one in the park. Stroll through the rice fields and let yourself be impressed by the stunning scenery and lush green fields, or even harvest your own rice. 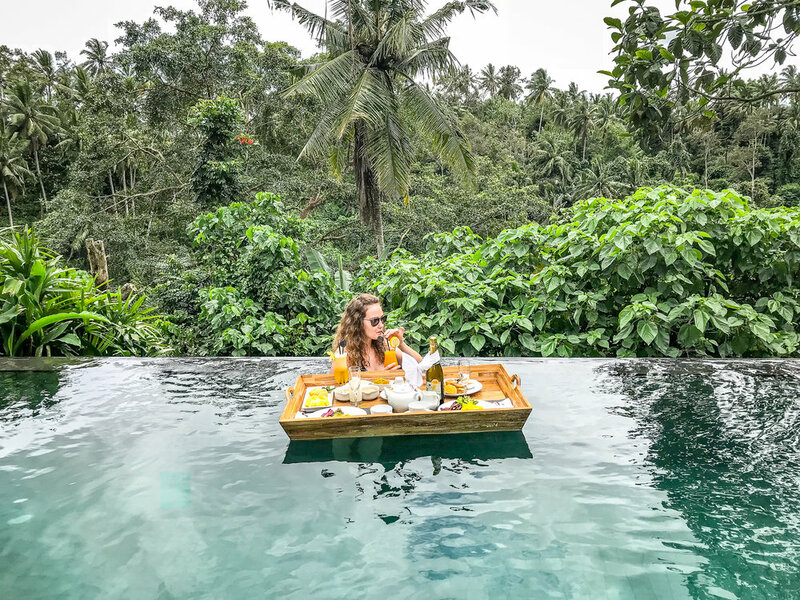 Walk through the beautiful Campuhan Ridge Walk in Ubud and afterwards, treat yourself to a delicious dinner at the Bridges Restaurant with a breathtaking view of the jungle. Visit a coffee farm and learn all about coffee production in Bali, especially about the history of "cat poop coffee". Explore the capital city of Indonesia, Jakarta, visit the Old Batavia, the historic harbour, the National Museum, an Indonesian mosque and local specialties. Visit the oldest and largest Buddhist temple in Indonesia, Borobudur, one of the wonders of the world. Formerly known as Batavia until 1949, Jakarta is the largest city and the capital of Indonesia located on the northwest coast of Java. In 1952, the Portuguese arrived in Batavia when Sunda Kelapa was a bustling harbour during the Pajajaran dynasty. Within 5 years, the Portuguese managed to gain a foothold in the city until they were toppled by the Muslim saint of Demak, Gunungjati. As a result, the city was renamed Jakarta (the victorious city) and by 1966, it was declared Indonesia’s capital district. Since then, the industrial city of Jakarta Indonesia has become an important financial trade and education centre. Located in Central Jakarta, the National Museum is on the west side of Merdeka Square. The museum’s collection consists of all the country’s treasures including, historical, archaeological, and geographical artifacts. It also contains the largest Hindu-Buddhist art collection from the ancient Java and Sumatra. This 132-square metre high tower is located right in the centre of Merdeka Square and symbolises the struggle for Indonesian independence. Its construction started in 1961 and it wasn’t until 1975 that Monas was opened to the public. The museum and the monument are open daily except on Mondays. For a taste of history and culture, be prepared to travel back in time to the colonial era with Fatahillah Square’s well-preserved European style architectures. This is a vibrant city square surrounded by many symbolic buildings and street performers - a perfect place for an evening stroll. Cafe Batavia is a restaurant in Kota Tua and one of the remaining Dutch colonial landmarks opposite Fatahillah Square. The cafe's building is the 2nd oldest in the square and was constructed around 1830. It has previously been used as a Dutch governor’s office and a warehouse. You can enjoy a coffee during the afternoon or a drink in the evening. There are often live bands playing in the evenings. Istiqlal Mosque can accommodate up to 120,000 worshipers and was opened to the public in 1978. Istiqlal is an Arabic word meaning independence. To prove that Islam and Christianity religions can live harmoniously in Indonesia, Gereja Cathedral stands proudly opposite the mosque. This church was built in neo-gothic style and inaugurated back in 1901. The ground floor of the cathedral is dedicated to religious events while the second floor is home to the choir and a small museum. The 500-year old Sunda Kelapa harbour is Indonesia’s most important port that linked the outside world to the Pajajaran kingdom in the early 16th century. The port has since belonged to the Dutch and the Portuguese and now mostly serves as a historical harbour rather than a working port. When you take a boat tour through this port, you will get to see all the old ships that are still in use today, nearby buildings, such as Bahari Museum, the Fatahillah Museum, and many other cultural spots. Indonesia has a total of 6 presidential palaces that are of historical value. Istana Merdeka, the presidential palace in Jakarta, was originally used as a residence by the Dutch Governor but after the Indonesian independence, its name was changed to Merdeka, i.e. independence. Nowadays, it hosts numerous administrative events for government bodies and is also open to the public on weekends for free. The Old Town of Jakarta is known as Kota Tua or Batavia by the locals. It is lined with architectural Dutch buildings as this town was once a Dutch settlement. The Old Batavia dates back to the 17th century when it was a walled city. As you take a walk through the Old Jakarta, you will see lots of street performers doing clever tricks and asking for money to have photos taken with them. Jalan Surabaya Market is lined with charming antique shops and is a great spot in central Batavia to find rare trinkets at low prices. You will find many ornaments here ranging from authentic collectibles to replicas. Even if you’re not an avid shopper, you will still enjoy walking through this characterful open-air antique market. Jakarta, just like the rest of Indonesia, is full of batik shops. Batik is the art of cloth decorating using dye or wax and it has been practiced for many centuries. To find affordable and unique batik in Jakarta, head to Thamrin City, which is a shopping centre close to Tanah Abang. Here you will find hundreds of batik sellers from different parts of the country selling the finest Indonesian batik. For foodies, there is no better way to enjoy Jakarta than taking a food tour in town. You will have tons of choices and the opportunity to sample unusual spices, street foods, tropical drinks, and learn how to eat like the locals with your bare hands. Your travel to Indonesia is not complete until you've tried a food tour in Jakarta! Our 3rd day involves exploring the 9th century Borodubur Temple in Magelang, Central Java, as we catch the 1-hour flight from Jakarta to Yogyakarta and from Yogyarkarta we take a taxi. This is the largest Buddhist temple in the world built on 3 tiers: a pyramid base with 5 square-shaped terraces, a cone trunk with 3 circular platforms containing the statue of Buddha on each of them. Borobudur Temple is said to have been built around 780 AD and was restored in the 70s with the help of UNESCO. The next day, we take another flight, this time to Denpasar in Bali. Denpasar is located in the southern part of the island and boasts many traditional temples and palaces. Most visitors taking Bali holidays will arrive at Ngurah Rai Airport, around 15 km from Denpasar. This Bali airport is Indonesia’s 2nd busiest international airport after Soekamo-Hatta. Bali is a true Indonesian paradise. It is surrounded by temples and white beaches. No Bali trip is complete without a visit to Kuta. It is one of the best known beaches in Bali Indonesia. You will find plenty of restaurants, shops, and hotels along its shoreline, so you can spend a day sunbathing or enjoying a watersport activity. Always bear in mind that Bali is a big tourist attraction so an important virtue to have while you are embarking on your Bali vacation on the road is patience. Although the road condition in highly populated areas is fairly reasonable compared to other developing countries, it can still get heavily congested at peak times. This is especially the case when ceremonial festivals take up the entire road, so if you end up behind a procession, just enjoy the colourful experience. The locals know they can earn good money from tourists and they are not afraid to take advantage of the opportunity. However, not every place in Bali is touristy. There are still many small and friendly villages that are less visited by tourists and remain unspoiled. For example, we very much liked Munduk Bali. When you are looking for things to do in Bali Indonesia, there are some excellent Bali attractions that you definitely shouldn’t miss out on. We have compiled the best ones for you in this article. But before we continue, I can only recommend that you take your Indonesia Bali trip during the off season as there is a lot less going on. You should never underestimate the extent of Bali tourism, especially in the high season as it can get extremely crowded. If you want to avoid all the backpackers, don’t go to the beaches. Instead, opt for peace and tranquility in the northern mountains. Our journey continues to Labuan Bajo and the Komodo National Park, where we will spend 4-5 days on a deserted island away from tourists and all the beaches to ourselves. Labuan Bajo, which is a small fishing town with surprisingly many amenities is our next stopover. This town’s beautiful national park consists of around 80 islands and was declared a World Heritage Site in 1986. The Komodo National Park has 3 major islands called, Padar, Rinca, and Komodo. This park is home to the unique and rare Komodo dragons, which are a huge tourist attraction. Canggu Beach is where you can take a break from the strenuous city tours by relaxing on the beach or go surfing. This coastal village is around 20 mins north of Seminyak and comprises of black-sand beaches. Its waters are perfect for novice or professional long-board surfers, hence the reason it has gained such high popularity. If you follow our advice and visit the Komodo National Park and its private island, you won't need to visit Canggu. Nevertheless, if you want to take part in a surfing class or experience the relaxed atmosphere of Bali beaches, you can give Canggu a try. Ubud has a history that dates back to the 8th century. When the Hindu priest, Marhandya, who was later regarded as the founder of religious rituals in Bali came to Ubud, he used meditation as a natural healing therapy, hence the name Ubud, which means ‘medicine’ in ancient Balinese. Kamandalu Ubud Resort is a luxury resort in Ubud, where we stayed at for 3 nights and were reluctant to leave. We were picked up by the hotel staff from Lombok via boat transfer even though it was very late at night and taken directly to the resort. The hotel can organise private tours for you with a personal driver to take you to wherever you want in Bali. The driver is like an experienced guide and knows all the best places to go to. He can also help plan the best trips for you around Bali. He will even pack your lunch for you! The hotel will also offer free shuttle services to town throughout the day. There are different types of accommodations to choose from, with or without swimming pools. All the rooms are small-sized chalets. The resort offers exciting activities, which are perfect photo-taking opportunities. 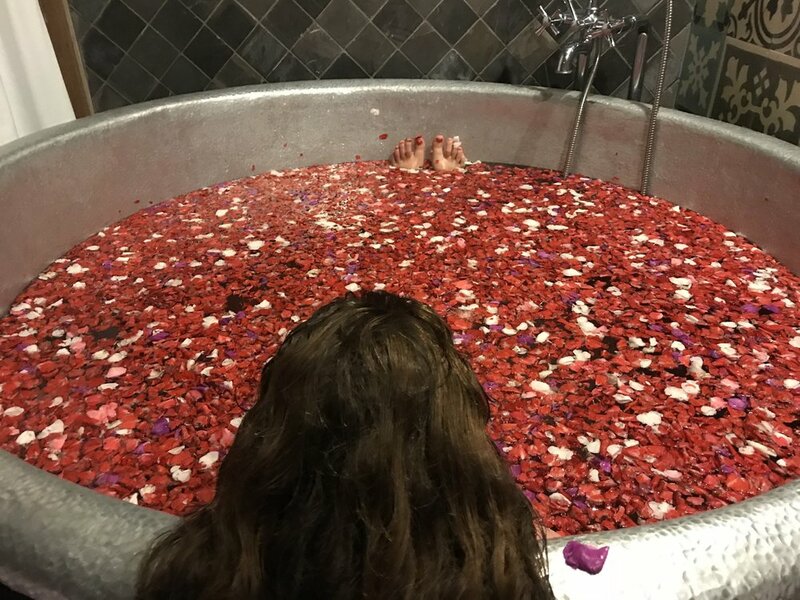 For example, you can enjoy a floating breakfast in the pool, relax on a huge swing after a great massage at the resort's jungle spa, or take a bath made with flowers. The resort is surrounded by rice fields and geese walking everywhere. There is also a nice restaurant, but if you want a romantic dinner with your partner, you can book a private candelit dinner instead. Staying at this resort is like a fairytale dream so you have every reason to go there! You can start your day by strolling through the beautiful rice fields to get a true feel of the place. These fields are especially beautiful during sunrise. The Tegallalang rice terrace formations are one of Ubud’s most beautiful and famous sites due to the fact that their appearance changes 3 times per year. Every 3 months, the locals reap the rice from the terraces before planting more. Rice has been the staple food of the people of Bali for many years now, that’s why rice cultivation is highly respected on this island. For an ultimate experience, in the afternoon before lunchtime have a ride of your life and enjoy the exquisite views of the rice fields, waterfalls, and Ayung River. A Bali swing hangs between coconut trees and is high on top of a hill. This is the one activity you won’t find anywhere else! Heron birds are white and yellow-feathered egrets that return to the Petulu fields in the late afternoon (ask your Ubud Bali accommodation manager for the exact time). During peak times, there are as many as 20,000 flock of birds that can be seen flying to the fields. You can easily spend night after night watching different dance performances in Ubud, from puppet plays to traditional gamelan acts. Many of the dance shows take place in beautiful venues, such as palaces and temples. These shows are specifically oriented towards tourists and are usually in open courtyards - a perfect way to spend your evening! We start day 7 with a visit to the Sacred Monkey Forest. This is an impressive park with more than 110 species of trees, some of which are of spiritual importance to the people of Bali. These monkeys have been living in this forest for a long time and are considered sacred, hence the name of the forest and the surrounding temples. These monkeys are vaccinated against tetanus and hepatitis A/B so in the event you get bitten by them, you will be fine. Always keep in mind: monkeys are unpredictable, you never know what they will do next. The monkey forest guards might tell you that the monkeys are not aggressive, but you never know what they will do or how they will behave. Keep in mind that monkeys can be particularly dangerous when they are next to their children because they want to protect them so it’s best to leave them alone. In case a monkey bites you, you will find an emergency station in the park. However, they don't tend to do much except tell you that the monkeys are vaccinated. They will just wash the bite mark with soap and apply disinfectant. All in all, the monkeys are quite friendly - unless they are provoked. Make sure you feed them with bananas to get the best pictures. Visiting the Monkey Forest is a good start to the day before doing a spot of shopping and lunch. After exploring the Monkey Forest, it's time to head to the centre of Ubud for some window shopping and sampling the local cuisine. Ubud is considered as a cultural and arts capital of Bali by visitors from around the world. It’s not hard to see why thanks to its cookery schools, meditation classes, and bustling markets with handcraft items. The town centre is the ideal place to enjoy a spot of shopping and dining in Bali’s finest restaurants. Afternoon is the perfect time to explore the local markets and the shops - don't forget to drink a coffee or two before leaving as you will need your energy for the Campuhan Ridge Walk. Campuhan Ridge Walk is an easy trek through nature in central Ubud and highly popular among visitors. The free 9-km hike through the island allows you to enjoy the fresh air and the most stunning hillside views in the region after you have finished your tour around town. After all that walking, there is nothing better than visiting a top-rated restaurant for dinner. One of Ubud’s most exotic and luxuriant culinary offers is Bridges Bali, which isn’t just a casual dining restaurant. It is here that you can find a wine bar, a shop, and an exhibition by the river. Some of Ubud’s finest wine can be enjoyed at Bridges with amazing food and a spectacular view. Elephant Cave is an archeological heritage and formerly used as a place of retreat for the Buddhist monks. It is located on the western part of Bedulu Village. The cave was constructed on the edge of a meeting point between two rivers. Pura Tirta Empul is a major temple and sacred mountain spring located in central Bali village of Manukaya. It is a national cultural heritage site built around 960 AD. Tirta Empul means ‘holy water spring’ referring to the water source within the temple. There are purification baths and fish ponds in the surroundings as well as various other archaeological sites that relate to local legends. As this temple is one of the most popular temples, it can get overcrowded so it makes sense to visit it first. Ladies, don't forget to take your bikini and towel with you. Boys will need their swimsuit as the body must be covered when entering the holy water. You can always borrow a sarong at the temple if you don't have anything to cover yourself with. After the purification ritual is over, you will feel refreshed and invigorated. Gunung Kawi Temple dates back to the 11th century located in the north east of Ubud. It comprises of 7-metre high rock-carved shrines and the funeral monuments are said to be dedicated to the Udayana dynasty. Tirta Sudamala is a temple with great religious importance to the people of Bali. This temple is located in Bangali river valley surrounded with a dense forest. The flowing spring water passes through the temple, where pilgrims from around the world come to take ritual baths. These waters are believed to heal diseases, cleanse the soul, and ward off evil spirits. The temple is in an ideal location for meditation, praying, and rebalancing the soul. Tibumana waterfall is one of the most popular waterfalls for tourists. It is located in Bangali region, 1 hour drive from Ubud. There are many villages, rice terraces, forests, and valleys close to this waterfall making it a serene spot for anyone who wants to enjoy the landscape. A visit to the temple is a must for first-time Bali visitors. Before visiting, you should familiarise yourself about the temple dress code and rules. It is usually mandatory to wear a sarong (long garment that is tied to the skirt). This can be conveniently bought from local shops or markets before visiting as the retail price of the sarong is usually overpriced at the temple. For a one-off temple visit, however, it is sufficient to hire the sarong on site at the temple (about 10,000 IDR). Access to the smaller temples is usually free. However, an admission fee is usually charged for the popular and larger temples. Men / women should not wear off-the-shoulder tops as their shoulders must be fully covered. A sarong (long skirt for men and women) is usually necessary. A scarf must also be worn around the waist. Women are forbidden to enter the temple during menstruation. You should not step in front of the prayers, so never stand between the shrine and the prayers. Temples should never be climbed. One should not stand higher than the priest. Certain areas are not permitted for entry unless you are accompanied by a guardian of the temple, for example at Pura Besakih. During a ceremony, the man must also wear a headscarf and it is considered respectful to sit down during the ceremony. Mount Agung is the holiest and highest mountain in Bali believed to be the home of God. This mount stands around 3.1 metres above sea level. When we visited the volcano, it erupted so it wasn't possible to hike, however, it is worth the effort if it doesn't erupt at the time you go there. Mount Batur is a sacred mountain for Hindus and stands 1717 metres above sea level in Kintamani District. Fit hikers can explore this stunning mountain within 2 hours. Gunung Batur is an active volcano that attracts tourists from around the world to its mysterious beauty. Pura Besakih consists of several temples (23 in total) and is the holiest complex for Bali’s Hindus. This temple is located on the slopes of Agung Mountain and is the largest temple in Bali, Indonesia. On day 10, we leave in the morning and head to Munduk. We will be visiting the Jatiluwih rice fields, the temple at Lake Beratan, and Sekumpul Waterfall on our way to Munduk. We start our morning by visiting the rice terraces of Jatiluwih, which mostly cover the region of West Bali. These terraces are best known for their exotic and dramatic landscapes. The breathtaking scenery of Jatiluwih rice fields make a wonderful opportunity to take some great Bali photos. These fields, which date back to the 9th century, comprise of over 600 hectares of rice fields and are well maintained by the water company, Subak. Next, we head to Ulun Danu Bratan Temple. This amazing temple is located around 1200 metres above sea level right in the middle of Bali. It is surrounded by natural landscape as well as the beautiful Lake Beratan. You can hire a boat and see the temple from different angles on water. Because this temple is surrounded by water, it makes a great photo opportunity. A boat tour is an especially good idea at sunrise as you will get to enjoy the clearest and most beautiful views. If you love walking through a dense jungle and exploring the lush green canopies, then this waterfall is the ideal site for you. This waterfall is located in Sekumpul Village and is the most beautiful waterfall in Bali. The trek through the dirt road all the way to the river is well worth the effort thanks to its stunning views. This is one sight you won’t be forgetting for a long time! Tip: Book a local guide. They don't just take you closer to the waterfall by motorbike (which is an attraction itself given his riding style and the love for speeding) but the guide will also explain in detail about the nature, the region, fruits and plants that grow there etc. plus he will help you climb some rocks to get the best pictures. They are really friendly! We told our guide that we have never tried a Jackfruit in our life. When we returned to the village, he and his friends quickly gathered a complete basket with all the fruits they could find: jackfruit, durians, bananas, mangostins, passion fruits, .... as well as freshly brewed coffee. Then we watched the sunset together whilst eating and listening to their stories. This was one of the best evenings of the whole trip. After all that trekking through the waterfall and temples, it’s time to explore Munduk to end the day. This village was the main establishment for cocoa, vanilla, cloves, and coffee plantations back in 1890s after the Dutch settled in North Bali. It wasn’t long before Munduk grew as a popular retreat because of its mild climate. When you take a stroll through this village, it will give you an authentic feel for Bali thanks to the many local ceremonies that take place here. 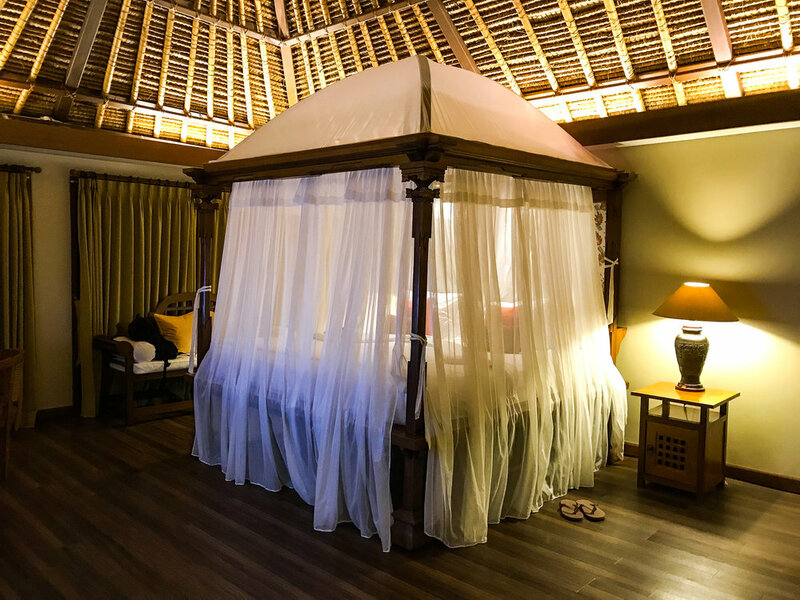 Forget about looking everywhere for the most suitable Munduk hotels because the accommodations we highly recommend are Sanak Retreat in Bali and Munduk Moding Plantation Nature Resort. Set amidst the most stunning tropical mountain views, Sanak Retreat offers a relaxing holiday getaway surrounded by ancient rice paddies. There are 10 wooden bungalows and 3 villas to choose from. The hotel is completely environmental friendly as they don't use any plastic. In fact, water is only served in glass bottles. They only hire staff from the surrounding villages, and only buy food from the surrounding and local markets. In the morning you will wake up to the sound of nature before being served a delicious breakfast. What a great way to start your day! Munduk Moding Plantation (MMP) offers guests 3 luxurious suites and 9 villas with utmost privacy. Munduk Moding Plantation is the only boutique hotel in Bali that's located on a working coffee plantation. Here you can see the beautiful landscape and walk through the plantation before unwinding with a 1-hour Balinese massage treatment at the hotel's spa. This is another one of our favourite hotels in Munduk. We start our 11th day of our Indonesia tour by taking a hike through the rice fields and coffee plantations of the Kayuputih. This is a traditional village and a great place for trekking towards the waterfall. The clove, coffee, and rice plantations stretch for as far as the eye can see. Here you can learn about how coffee is roasted in a traditional way and how clove oil is produced. There are many hills spread around the plantations, where you can embark on your trekking adventure in the morning by passing through the rice fields towards the sacred waterfall in Banyuatis. You should have with you a Munduk waterfall map to follow so you won't get lost. This trekking tour will take at least 3 hours to complete. We booked the tour through Sanak Hotel, where we were staying at. The hotel's local guide walked with just the two of us through the tour. This was a well-organised trip as the guide brought water, snacks, and towels so we could have a refreshing swim in the waterfall's plunge pool. A private tour with a local guide is well worth it as he will tell you lots of interesting facts about Bali's nature and culture. The guide will be happy to give you information about how Indonesians live, what it's like to live in Bali, the educational system for their children, the importance of learning English to be able to work in the tourist industry. Working in tourism is a favourite job for the Indonesians as it's well paid. For example, our guide told us that he had worked in the rice fields before becoming a guide and he found it such hard work with low wages. He considers himself to be very lucky to work with tourists. We could tell how happy he was when he was showing us around. All the guides are very friendly and enjoy helping tourists. Seririt Market is a traditional market and a great tourist attraction. When you take a walk through the streets of Seririt, you will get a feel for the village’s Dutch colonial past. The market is on the main road and has everything from batik, clothes, and spices, to fresh fruits and vegetables. This no frills market is set on two floors and its design is rather simple. This is not a market for tourists. It is a truly authentic market, which makes it such a great experience to visit. As there are only a handful of tourists visiting this market, you are less likely to get ripped off by the vendors. What's more, you get to see a market for what it really is. After a spot of shopping at the traditional market, we visit the therapeutic hot springs in Banjar for a soothing swim in the holy waters during the afternoon. These hot springs are located approx. 5 kilometres from Lovina Beach in North Bali. The Buddhist monastery is in the same district around 1.5 kilometres to the east. These hot springs are centuries old but they have been refurbished over the years with modern facilities. A visit to Bali's largest monastery is a must before we finish off our day. The sculptures of this Buddhist monastery are built in Balinese style. There is a bronze bell on the corner of the building, which was a gift from the king of Thailand. 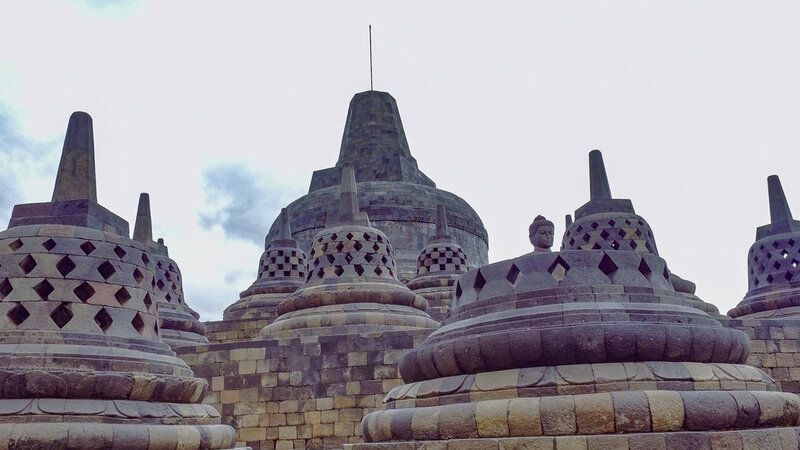 At the top of the temple, you can see a replica of Borobudur, the biggest Buddhist temple in the world. Many tourists, especially families, love to see elephants. But if you want to see elephants in their natural habitat, you shouldn’t come to Bali; you can find them in Thailand or Burma instead. Elephants in Bali’s sanctuaries were allegedly rescued from their labour captivity in Sumatra’s timber trade. However, the reality is that they are not doing any better here as they are now used to serve tourists. Many Bali visitors say good things about the Elephant Safari Park Lodge in Taro since it is a tourist attraction. A little search on TripAdvisor or Google Maps also shows how popular this safari park is. On day 13, we take a flight to Lubuan Bajo before transferring to Komodo Resort. This resort is located in Sebayur Island. The resort is surrounded by a private beach, where diving and snorkelling enthusiasts can enjoy their favourite activities. The resort mainly offers accommodation to divers, but non-divers like us can also go there. We stayed at the resort and booked some amazing tours through them as you can read below. Its stunning reefs can easily be reached from this island within a 1.5 hour boat ride. In fact, there is a reef directly on the beach where you can start snorkelling right away and see the turtles and many other underwater species. Afterwards, why not enjoy a cocktail or two in your own private thatched bungalow. There are in total 16 thatched bungalows along the beach offering guests unobstructed sea views and privacy. Each bungalow has a double or twin bed, its own bathroom, an outdoor terrace, a garden area, and best of all, direct beach access. Komodo Resort offers a free return airport transfer to Komodo Airport. On day 14, our curiosity gets the better of us as we look for these huge lizards in Komodo National Park. Rinca Island is located in East Nusa Tenggara on the western edge of Flores. This island is home to the unique and famous wild Komodo dragons, but the island is often overlooked by foreign visitors who tend to go to the more-popular Komodo Island. However, you’re more likely to see these species in their natural habitat on Rinca Island because of less tourism. Rinca Island belongs to Indonesia’s Komodo National Park and has been given the UNESCO World Heritage title. If you want to see the famous komodo dragons, best to avoid the crowds in Komodo Island and head to Rinca instead. Komodo dragons are the biggest and most lethal type of lizards in the world. The adult komodo can live up to 50 years and weigh up to 90 kilos. According to biologists, there are currently less than 5,000 Komodo dragons that exist. Around 1,300 of these species are thought to live in Indonesia’s Rinca Island, Flores, Gili Dasami, Komodo, and Gili Motang. Put on your snorkelling gear and explore the colourful and unique underwater world that awaits you. You will find yourself face to face with manta rays, sea turtles, or even 1,000 different species of fish. Snorkelling in secluded islands means you will have the place mainly to yourself. Day 15 starts with a visit to Padar Island. It is around 30 kilometres from Labuan Bajo and the 3rd largest island of Komodo National Park. We take a boat from our island to Padar Island, where we hike to the famous viewpoint (see image). This isn't a difficult hike and may only take you around 15 minutes to explore the most beautiful views of the entire region. This island is home to a vast array of wildlife, 6 species of shark, 2 manta rays, reptiles, whales, geckos, and green turtles. After exploring Padar Island, we head to Pink Beach. You can lay down on the stunning Pink Beach and spend a relaxing day watching the sea waves and working on your tan. It is one of the 7 pink beaches in the world and has amazing features that make it highly striking. The soft pink colour is visible from high up in the sky and along the shoreline. Pink Beach is secluded and can be reached by speedboats from Labuan Bajo. Next, it's time to go snorkelling in a unique reef. After relaxing for some time at the Pink Beach, we can get a little adventurous again and put on our snorkelling gear. The eastern region of Indonesia is famous for its rich aquatic environments. To give you an idea, Padar Island is home to soft and hard corals that vary both in colour and shape. When you snorkel or dive in the amazing Padar Island beaches, you will experience the countless sea organisms that are waiting to be discovered. There are also the corals of Pink Beach that are still in great condition with thousands of different fish species. This beach is another excellent choice for beginner snorkellers and divers. Komodo Islands offer excellent snorkelling opportunities thanks to their huge coral reefs that grow up to 8 metres across. On day 16, we took advantage of relaxing on our own beach in Komodo Resort. This was the perfect opportunity to enjoy the peace and quiet before we head home the next day. It is time to go home today after having explored the beautiful Indonesian islands for the past 16 days. Komodo Resort organises transfers back to Labuan Bajo Airport. Most international flights leave from Denpasar or Jakarta, so you are most likely to fly from Labuan Bajo to either Denpasar or Jakarta. Hire a local guide and taxi driver as they are useful for translating and showing you all the hidden places that aren’t mentioned about on the lonely planet website. Before getting into a taxi, insist on the driver to turn on his taximeter. However, if you wish to book a taxi for a whole day, don't use a taximeter. It's best to ask a local as they will drive you to every corner of the city for the day and take you to the nearby villages, such as Ubud. Note, you will have to negotiate the rate with them otherwise you'll get ripped off! Low season is much cheaper for booking your Indonesia trip and there isn’t a lot of rain throughout the day. Much less crowded with tourists too. Visit other mountainous areas that are away from Ubud: there are beautiful resorts with less tourists and cheaper prices, e.g. Munduk. Do not go to the overpriced tourist shops for coffee or to the coffee farms. Instead; ask your guide where he buys his coffee from. Buy souvenirs from the local markets. Markets are much more interesting and authentic than the tourist shops. Buy a telkomsel SIM card but don’t go through the hassle of complicated top ups - buy a new SIM card when it gets empty, just like the locals do. Be careful with your credit card, especially at ATMs and even in popular restaurants and resorts as they might make a copy of your card. The hardest part for the thieves is finding out your pin number, so make sure you protect your pin when you pay with your card or get cash at the ATMs. If you don’t want to fill up your pocket with small Indonesian notes, make sure you withdraw money at those ATMs that give out 100k notes rather than 50k notes. When buying items in the market, you must haggle the price. Bargaining a price is something you should do as most of the time the prices are inflated for tourists. Make sure the vendor confirms the agreed price with a yes, otherwise things can get complicated and even cause offence. If you want to be away from large crowds of tourists, opt for Rinca island instead of Komodo Island. You will still see the komodo dragons on this island but with far fewer tourists. Citizens of the US, China, Germany, Austria as well as Switzerland, the Netherlands and other European countries require a valid passport to enter Indonesia. All visitors must have at least 6 months validity on their passport upon entry. The tourist visa allows visitors from 169 countries to stay in Indonesia for 30 days. This visa is given directly upon arrival. Located in Southeast Asia, Indonesia is the 14th largest country in the world. Its capital city is Jakarta and the country shares borders with Papua New Guinea and Malaysia. What is the Indonesia Population? With 261 million, Indonesia is the world's 4th most populous country. What is the Indonesia Muslim Population? With approx. 225 million Muslims, Indonesia has the world's biggest Muslim population. Bali is located in the Indonesian island of Sunda, between Java to the west and Lombok to the east. The capital city of Bali is Denpasar, located in the southern part of the island. The Japanese invasion of Indonesia during the 2nd World War as well as the Dutch occupation thereafter encouraged the independence movement. Just 2 days after Japan's surrender in 1945, Sukarno, the nationalist leader, became the president of Indonesia after declaring independence. Bali is one of Southeast Asia’s most visited islands. It has a totally different vibe to the rest of Indonesia, mainly because it is predominantly Hindu. Some of its best destinations to visit include Ubud and the mountains in the north. 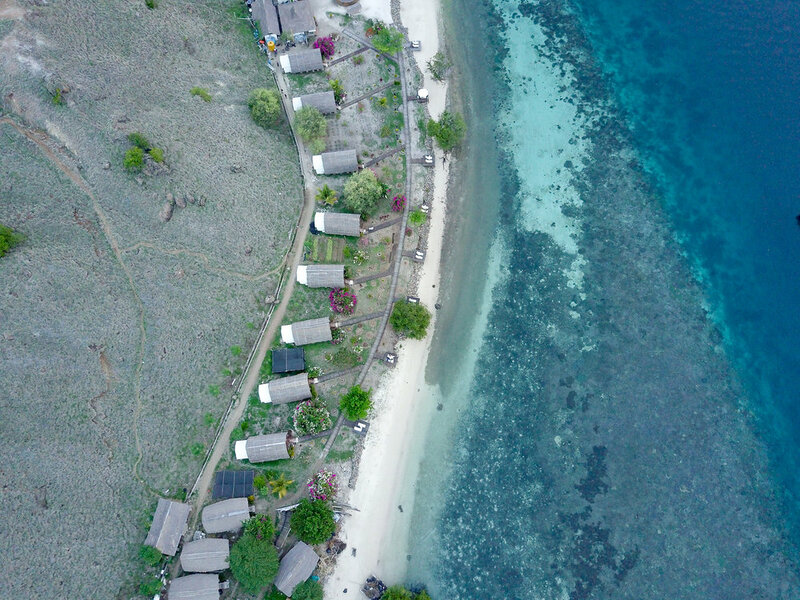 The beaches in the south of Bali tend to be the most popular among tourists, however, we found them to be overcrowded and decided to spend some time in Komodo National Park, on our own beach in Komodo Resort, where there were no crowds of people. What is bali famous for? Bali is well known for its quality gastronomy and exotic beaches including Seminyak Beach, Balangan Beach, and Nusa Lembongan Beaches. With more than 10,000 temples, this city is steeped in mystical spirituality. No visit to Bali is complete without taking a walk to the green rice terraces of Tegallalang. For adventure lovers, surfing is the top activity to do in Bali. Professional surfers can head to the outer reefs of Southern Bukit while novice surfers can opt for the lagoons' smaller waves. The book and the movie 'Eat, Pray, Love' with Julie Roberts put Bali on the spotlight. It is also very well known for its tropical climate, friendly people and Hindu temples. What's bali currency called and what does it look like? Souvenirs are a great way to take a piece of Bali home with you. Some of the most traditional items you can buy include wood carvings that come in different varieties from cheap pieces to quality high-end art. Batik is another must-buy as it’s a huge part of Indonesia’s culture. This fabric is made in different patterns and colours and makes the perfect gift for your loved ones. Bali is an island that’s abundant with high-quality coffee beans. Look for kopi luwak, which is possibly the most eccentric type of coffee to take home. A sarong comes handy wherever you go, especially to the wonderful beaches of Bali. This is a lightweight material that’s decorated with different patterns from modern designs to traditional ones. A perfect souvenir for all your friends! What to do in Bali when it rains? Bali is famous for its monsoon-type downpour with heavy rainfall for sometimes days on end. But even if your holiday coincides with heavy rain, it doesn’t mean you should be stuck in your hotel or villa. You can relax and unwind in a spa for a massage or body treatment session. Afterwards, why not pay a visit to a traditional theatre for some folklore performances from talented dancers. Do I need vaccinations before visiting Bali? Yes. Hepatitis A and Typhoid vaccinations are mandatory as you can get these diseases through contaminated food or water. The founders of Indonesia are Sukarno and Mohammad Hatta. They signed the independence proclamation from the Netherlands in August 1945. As a result, they became the first president and vice president of Indonesia. When did bali bombings happen? Bali bombings happened on 12th October 2002 in the popular district of Kuta in Bali. The terrorist attack killed 202 people. When to go to Bali? There are fewer tourists so you can have top attractions, such as the temples all to yourself without having to queue up. Should I take malaria tablets IN Bali? No. However, dengue fever is common so make sure you use insect repellent. You can get around in a car, hire a local driver who will show you all the secret places, or alternatively, hire a scooter and take yourself on a ride around the island. Some of the best things to do in Bali include walking along the beautiful beaches of the East Coast, which are also great for swimming. There are also stunning rice fields that can be found in the Ubud region. These rice fields can be explored by trekking, cycling tours, or private guides. It is best not to stay in just one place. There are so many great places in Bali, for example, you can stay in the south, i.e. Canggu for its beaches. Ubud is another great place for its rice fields, temples, and monkey forest. Munduk, which is located in the north region is a must-see for its mountains, volcanoes, and stunning waterfalls. Joko Widodo is the current president. Why has Bali remained Hindu? It is partly because of the Balinese culture isolating Islam during the pre-colonial Dutch era in Indonesia. There has never been many Muslim communities in Bali in order to spread the religion in this city. Bali has remained a Hindu city since the 11th century with the arrivals of Java Hindu missionaries. Most of the modern Balinese (80%) are of Javanese descent. Bali is one of the few remaining places in Indonesia where the religion of Hinduism is still practiced today. There used to be 8 subspecies of tiger in Indonesia. The Caspian tiger, Bali tiger, and Javan tiger are currently extinct. The only 5 that still exist today are the Indochinese tiger, Bengal tiger, the Siberian tiger, the South China tiger, and the Sumatran tiger. Are Bali plugs the same as Australia? Expect to see two-pin sockets and plugs in Indonesia just like in Eastern European and Asian countries. The pins are round, unlike the Australian plugs that have two flat metal pins. Uber was banned by the Transport Department back in 2016 but it still operates in some areas of Bali. The safest and most reliable taxi company is Bluebird Taxi Group. Before getting into a taxi, insist on the driver to turn on his taximeter. However, if you wish to book a taxi for a whole day, don't use a taximeter and avoid Bluebird. It's best to ask a local as they will drive you to every corner of the city for the day and take you to the nearby villages, such as Ubud. Note, you will have to negotiate the rate with them otherwise you'll get ripped off! Unfortunately yes. If you are going to ride a motorcycle or drive a car, make sure you adhere to safety rules and always carry some local currency to bribe the police officers (in case they pull you over). How many days do i need to explore Bali? 1 week is enough to do all the activities, such as surfing, shopping, visiting the rice fields, etc. But it is much better to plan more time as you will not want to leave this island, especially during the off season when it is less crowded. Why is Bali named Bali? The word Bali means giving offerings wherever one goes. During the 7th century, Maha Rsi Markandeya began a journey to Java Island and taught his ceremony followers three offerings: scented flower, fire, and water. His teaching is called Bali, hence the name of the island. How much should I tip in Bali? Some restaurants do include between 5 - 10% service charge to their bill. But if the service charge doesn’t show on the bill, you can tip 10%, even though it’s not mandatory. Taxis are all metered but most passengers tend to round up the bill as some drivers don’t carry small coins. Which Bali airport is the best? Denpasar Airport is ranked as the 3rd best airport in the world. Do I need a visa to visit Bali from UK? British passport holders don’t need a visa for visits of up to 30 days. What is Bali climate like? Bali is very close to the equator, hence the reason for its warm and tropical climate. It is mostly hot all year with a rainy season from November to March. What's Bali like in December? December is the rainy season in Bali. It's also the peak season due to Christmas holidays. This is when accommodation prices are high, but despite the heavy rainfall, you can still visit a spa for massage or go to the theatre - but make sure you come to Bali early December before the start of Christmas. The average temperature in December is around 27 degrees Celsius. What's Bali like in January? This is the middle of the rainy season with warm temperatures of up to 29 degrees Celsius. Hotel prices tend to drop after 6th of January once the Christmas holidays are over. What's Bali like in February? Just like the previous months, February is still the rainy season. The streets are much quieter without crowds of tourists. This is a laid-back kind of month when the Balinese can enjoy the peaceful cafes and restaurants. The average temperature is around 26 degrees Celsius. What's Bali like in March? Bali's beaches get prepared for the tourists in March as the rainy season draws to an end. Temperatures reach up to 27 degrees Celsius. What's Bali like in April? Sunny days arrive in April with a third of the rainfall of March. The beaches aren't too windy and lots of tourists start coming for the Easter holidays. This is the high season with average temperatures around 32 degrees Celsius. What's Bali like in May? May is a great month to visit Bali. It is the beginning of the dry season and the perfect time to go to the beach. Accommodation prices are still low and the streets aren't very busy with people. Temperatures are between 28 and 33 degrees Celsius. What's Bali like in June? Just like May, June is another great month to visit Bali, especially for diving and other and water-sports activities. Hotel prices are still low and shops aren't too crowded with tourists. Temperatures are between 27 and 30 degrees Celsius. What's Bali like in July? It is officially summer in Bali and the dry season. On average, there is only 4 days of rain in July. This is the high season with Seminyak and Ubud getting very busy with tourists and accommodation prices at their highest. Temperatures are the same as May and June. What's Bali like in August? Even drier than July, August is another high season with temperatures almost the same as the rest of the year. Prices are still high but there are lots of things happening on this island. What's Bali like in September? The rain slowly starts returning on the odd day here and there but nevertheless September is a beautiful month to visit Bali. Hotel room prices are 30% lower than in July and August. The temperatures are still between 27 and 30 degrees Celsius. What's Bali like in October? On average, Bali experiences up to 15 days of rainfall in October. This is the low season so prices are reasonable and you can enjoy lots of great activities on the beach and inland, including festivals and fewer crowds in the streets. October is a great time to visit Bali because of how quiet the island is at this time of the year. The island of Bali has stable temperatures of between 27 and 30 degrees throughout the year. What's Bali like in November? Another great month to visit Bali. November is the beginning of the wet season and everything tends to slow down in Bali. Most people come to Bali during the rainy season as accommodation prices are the lowest with fewer tourists around. This is the time to relax in a cafe or enjoy a spa treatment session. Ubud has a lot of great accommodation to suit all budgets. We had a wonderful time at Kamandalu, and the Hanging Gardens of Bali is also very nice. 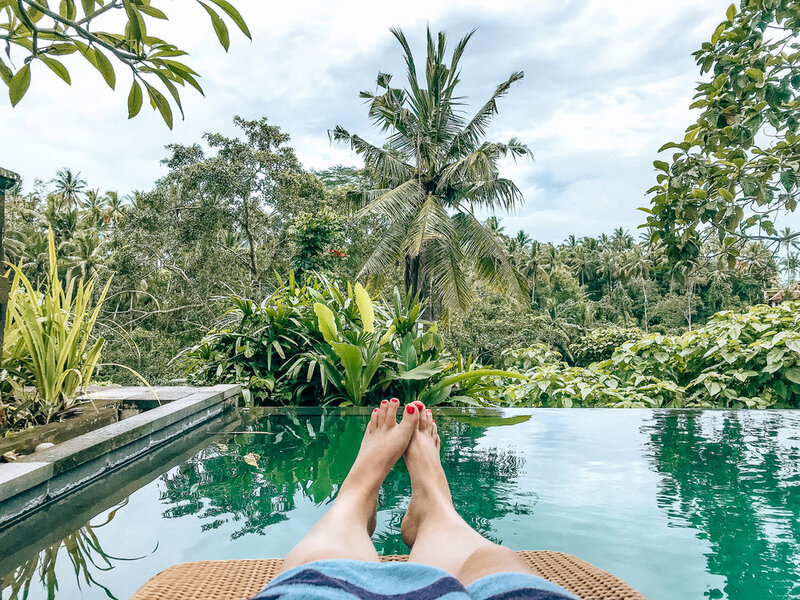 However, there is really no right answer to this question as Ubud is full of amazing 5 star hotels, resorts, villas to rent, or even amazing hostels for budget travelers. Our favourite walk was at the Campuhan Ridge in Ubud. This is an easy walk through the valley with lovely views of rice fields. It’s best to start walking from early morning or sunset to avoid the heatwave. Other great attractions of Ubud are the 11th century Pura Gunung Kawi, a rock-carved shrine, 30 minutes away from Ubud, the rice fields, Monkey Forest, Balinese Dances, and the temples. What is the distance from Munduk to Ubud?